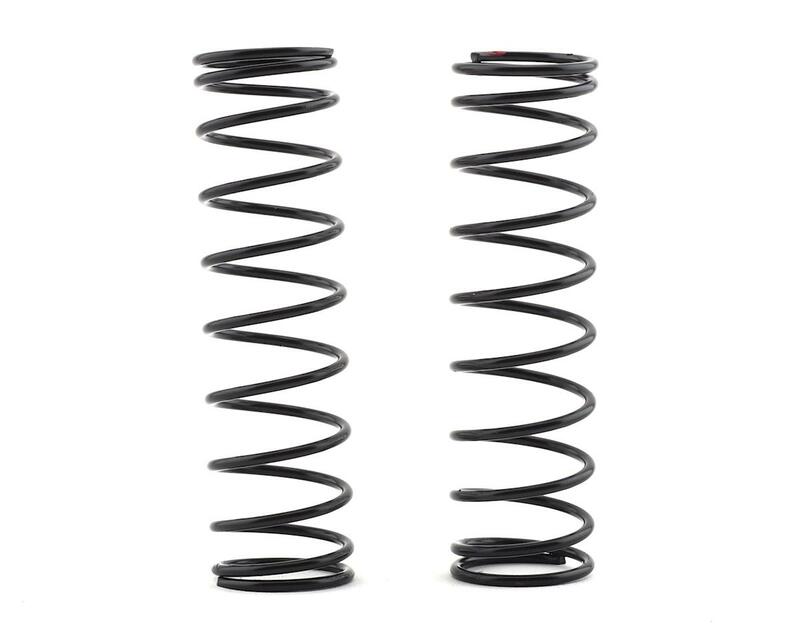 This is a pack of two replacement shock springs for the HPI Hellfire Monster Truck. The Hellfire designer thought about the fact that colored springs on your car can sometimes just simply look disco and the race savvy competition can see what spring rates you are running from a hundred feet away. While stealth black is always the cool color to use, the Hellfire springs do have color markings at the top of the springs to indicate six different spring rates to choose from. 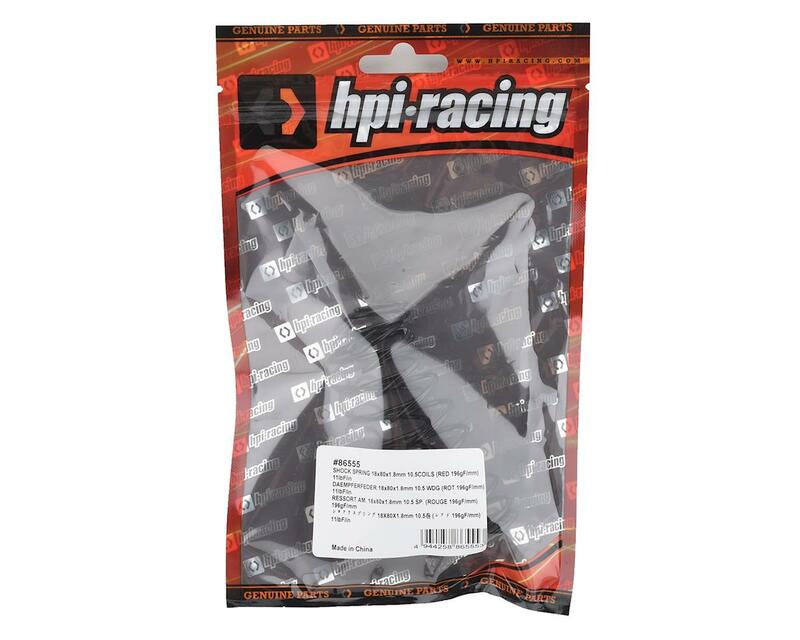 This offers a wide range of tuning of the suspension to improve the handling of the Hellfire on a variety of different surfaces. The factory Hellfire spring settings are Silver for the front and Yellow for the rear. The Hellfire spring ends are precision ground for a flat surface on the spring perches. To help aid in tuning, each spring is rated in gf/mm and comes with a handy spring chart.